Download and install then choose the 'Activate Trial Mode' option after launching. ChronoSync is only $49.99 (USD). ChronoSync + ChronoAgent Bundle is $59.98 (USD). Volume pricing is also available. Runs on macOS 10.11 or newer. Older versions are available to run on older systems. ChronoSync is a complete, all-in-one solution for file synchronizations, backups, bootable backups and cloud storage. In use by thousands of photographers, video editors, filmmakers, musicians and other data professionals. No other app can compare! Click 'Download' and a disk image file will begin downloading. For a fully functional 15 day free trial, activate Trial Mode after first launch. Synchronization makes two sets of files identical to each other. The classic example is when you have a desktop computer in the office and a laptop for your travels. You would synchronize your documents before departure and again when you return. ChronoSync excels at this task! Synchronize between two Macs using built-in file sharing. Faster synchronization between Macs using ChronoAgent. Cloud Storage with Amazon S3, Google Cloud & Backblaze B2. Synchronize with web servers via SFTP. Synchronize with iPads and iPhones using InterConneX. Automatically mount your remote Mac or server. Incremental scanning - only modified files get synchronized. Detect conflicts when files have changed on both sides. Replaced or deleted files can be archived for safe keeping. A backup creates redundant copies of your files to protect against data loss. Backups to external hard drives and archiving old data is a must. For added redundancy, backup to remote devices and even the Cloud. ChronoSync can handle all this and more! Backup to local hard drives, flash drives and SD cards. Backup to other Macs, servers or NAS devices via file sharing. 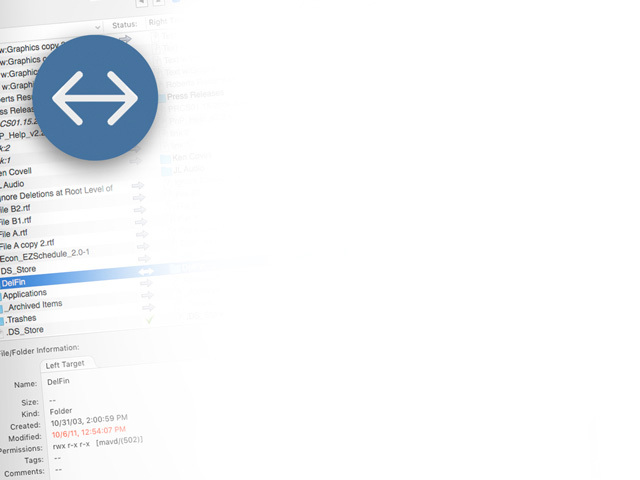 Faster & more reliable backups to other Macs via ChronoAgent. Backup to Amazon S3, Google Cloud & Backblaze B2. Incremental scanning - only modified files get backed up. SmartScan technology can double (or triple) file scanning speed. Progressive scanning picks up where you left off. Verify copied files to ensure the integrity of your backups. Use simple or complex rules to limit the scope of your backups. Easily exclude entire folder branches from backup. Recover missing or corrupt files via the Restore function. Older copies of files can be archived & restored. A bootable backup is a clone of your start up hard drive. It allows you to startup your Mac and be instantly back to work if your primary hard drive fails — no fussing with trying to restore backed-up data. ChronoSync can handle bootable backups with ease! Quickly & easily duplicate your system volume on another drive. Use a backup volume for additional storage in ‘Backup’ mode. Create an exact clone of your system using ‘Mirror’ mode. After initial run, subsequent backups run faster than other apps. With SmartScan, backups are 2-3x faster than other programs. Backup to encrypted volumes with auto locking & re-locking. Backup to DMG for system clones on file servers & NAS devices. Backup to hard drives on remote systems using ChronoAgent. Powerful scheduling capabilities allow you to schedule any sync or backup to run at virtually any time interval you can imagine. Run tasks while you’re not using your computer or are busy using another app. It’s the “Chrono” in ChronoSync’s name! Run sync or backup tasks on daily, weekly or monthly schedules. Any sync or backup task can run on multiple schedules. Monitor targets & only run when changes have been detected. Wake your computer from sleep to run a scheduled task. Trigger tasks to run when volumes are mounted. Trigger ChronoAgent-based tasks when devices join a network. Optionally prompt the user before a scheduled task runs. Configure tasks to terminate if they take too long to run. Send email notifications on scheduled task completion. Send push notifications to your iPhone on task completion. 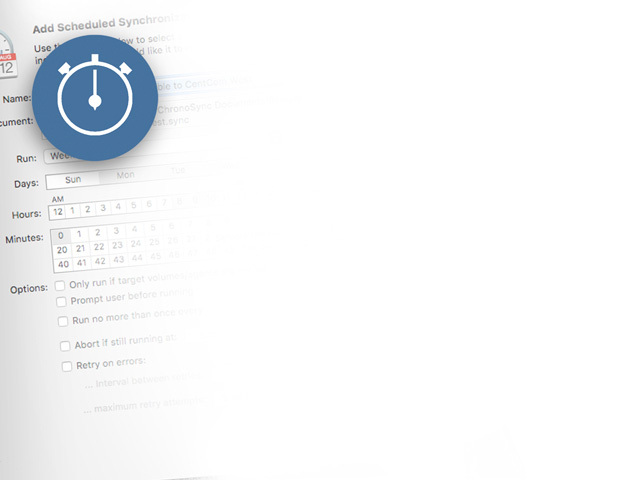 ChronoSync offers the ability to drill-down through your folder tree and control exactly what will occur. For peace of mind, preview exactly what will happen before it happens - so you can make changes before committing them. No other tool provides this level of interaction! Full user interface for configuring & fine tuning backups & syncs. Visually interact with your file set via the Analyze Panel. Interactively restore files from your backup or archive. Force ‘one time’ backups to run on specific folder branches. 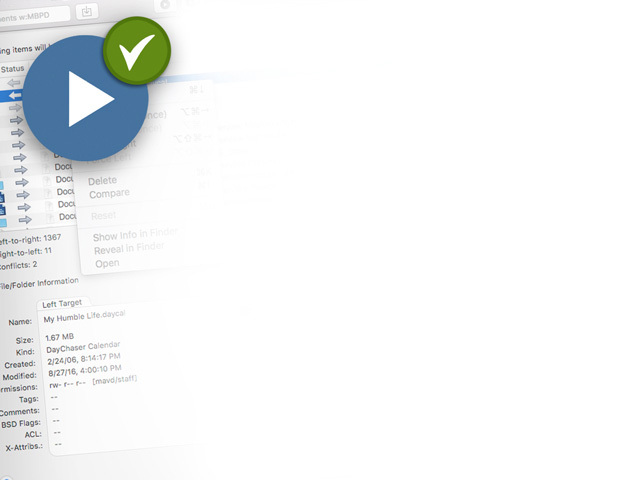 Compare files using external comparison helper tools. Visually preview sync & backup operation using Trial Sync. Manage syncs & backups with the Document Organizer. List your scheduled tasks in the Scheduled Documents Manager. Respond to prompts to run scheduled tasks. View detailed task information in document and scheduler logs. Produce a printed (or PDF) Analysis Report of any backup. ChronoSync is actively developed and maintained by a dedicated team - unlike some competing apps that could certainly qualify as ‘abandonware’. We’ve updated it over 70 times since 2002 with at least one major update coming out every year - and there’s never been an upgrade fee! While others simply keep their products running on the latest version of macOS, we work hard to keep on top of the latest technologies and trends. We’re not happy unless ChronoSync keeps getting better and better! Never an upgrade fee - pay once, play forever! Free, email based technical support - forever! Wealth of online resources & material to help meet your needs. 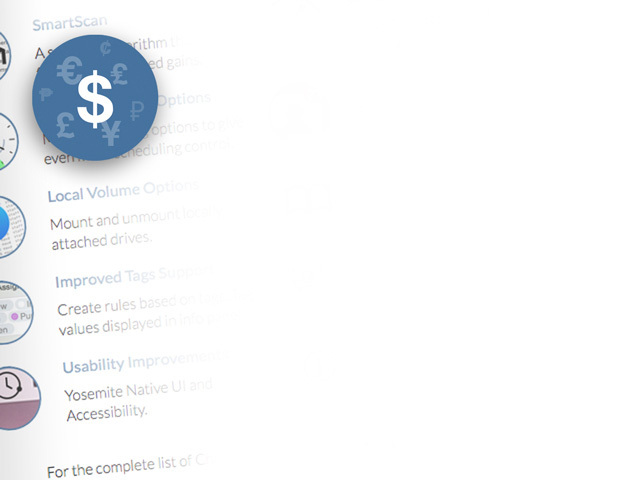 Constantly improving feature set, performance and capabilities. Expand capabilities via ChronoAgent & ChronoMonitor. Integrated support for the FREE InterConneX iOS products.